The two-year (2) biennial renewal will begin March 1, 2018, for all licensees renewing in March 2018, and thereafter. The biennial renewal license period is 2018-2020. Your annual sixteen (16) hour requirement of approved CE, including all mandatory board hours still must be met at the time of your first biennial renewal, the first day of the doctors birthday month. Upon renewing in 2020, the full thirty-two (32) CE hours will be required (= sixteen (16) per year). 3 Hours Board rules including the Board’s code of ethics, record-keeping, documentation, and coding. This continuing education may be taken online through a course offered by the board. 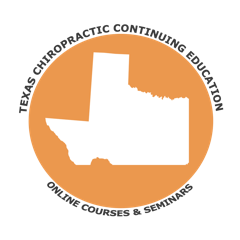 1 Hour Risk Management relating to the practice of Chiropractic in Texas. Licensees who were initially licensed on or after September 1, 2012, must complete at least eight hours of continuing education in coding and documentation for Medicare claims no later than their second renewal period. 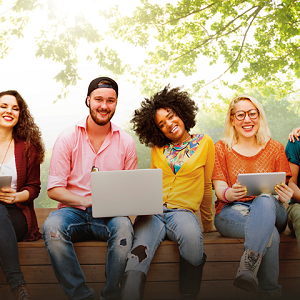 We offer two, 10 Credit Distance Learning / Online course packages. You can choose between either one of these two packages; you do not have to complete Part 1 in order to take Part 2.